If you are establishing a business, it is very important to carefully consider the structure that you will utilize. Asset protection is a huge consideration, because you work hard for your resources, and you must secure what you have earned. You have options, and you should explore them thoroughly before you make any firm decisions. This is an area of expertise for our firm, and we would be more than glad to gain an understanding of your situation and advise you accordingly. One very commonly utilized asset protection device for businesses is the family limited partnership. As the name would indicate, the members of the partnership must all be members of the same family. The anatomy of a family limited partnership involves a general partner, which is the individual that establishes the entity, and family members that serve as limited partners. We should point out the fact that there could be more than one general partner. For example, a married couple could establish a family limited partnership, and both individuals could be general partners. The general partner has the sole decision-making power in a family limited partnership, so you do not surrender any control to others if you establish an FLP as an asset protection device. Assets that have been conveyed into a family limited partnership are protected from litigants seeking redress if any of the members of the partnership were to be personally sued. Conversely, if the partnership was the target of a lawsuit, the property that was directly owned by the members of the FLP would be protected. Another business structure that is often used to provide asset protection is the limited liability company or LLC. If you were to establish a limited liability company, your personal assets would be your own, and they would be separate from the actions of the company. This is a very effective structure, but you have to be cognizant of the concept of fraudulent conveyances. You cannot legally transfer assets that you personally own into a limited liability company after you become aware of the fact that you will be facing litigation. In addition to the asset protection component, if you own a business, you should develop an exit strategy. You may want to sell the business eventually so that you can retire or move on to other challenges or pass it along to a family member when you step aside. There are various different ways to approach this natural progression, and we can explain them to you in detail and help you devise a plan that leads to the realization of your vision for the future. As you can see, there are some serious things to take into consideration from a legal perspective when you are a business decision-maker. 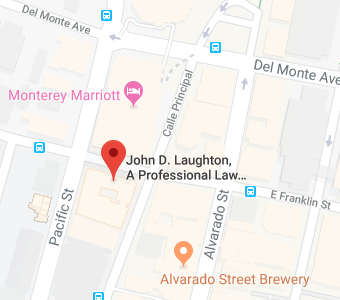 If you would like to discuss asset protection and business planning with our firm, you can schedule a consultation right now if you give us a call at 831-649-1122. You also have the option of sending us a message through the contact page on this website.